It has finally begun to warm up here which is so exciting for all the yummy grill recipes I can start making! One of the first things I couldn’t wait to grill outside was brats! 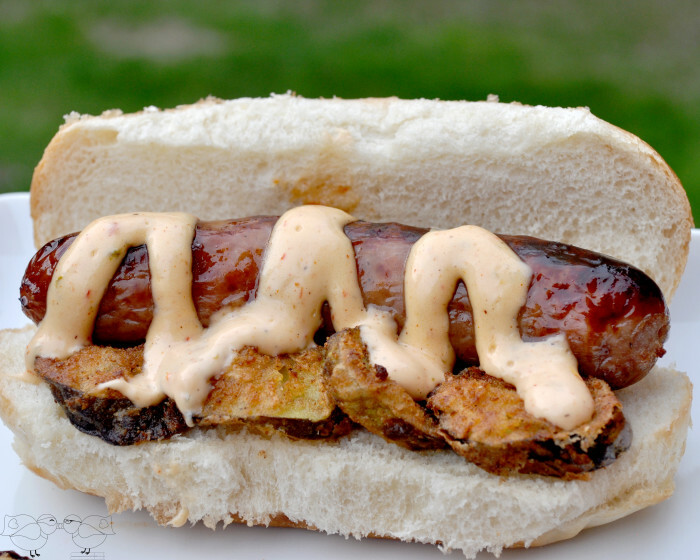 I just love having a brat in the summer, but I wanted to try something a little different for my husband and I so I came up with a different sausage recipe – Grilled Southwestern Brat with Fried Pickles! 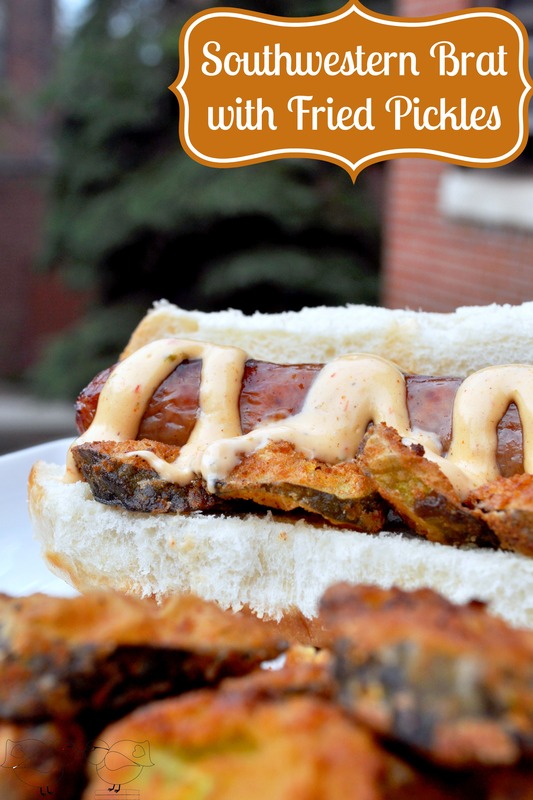 I have been in love with fried pickles for awhile and am a huge fan of pickles on my brat, so combining them together seemed like the perfect idea – and it was! The pickles were so crispy and flavorful that it paired perfectly with the new American Craft Sausage from Hillshire Farm in ORIGINAL! 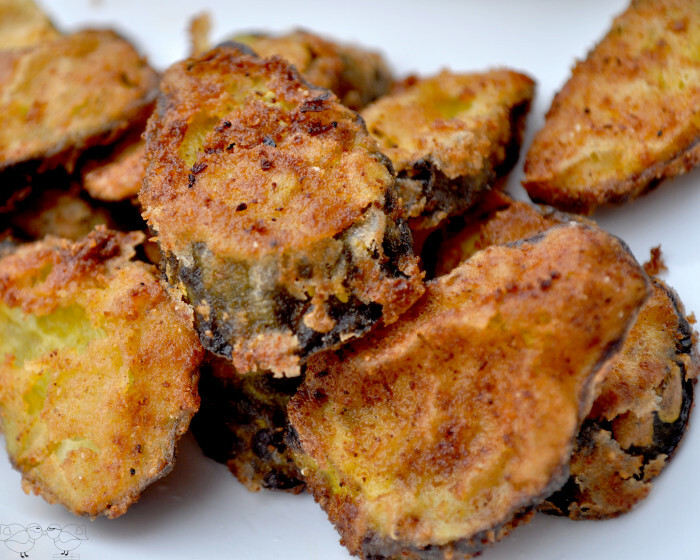 Therefore, I am going to share the recipe with all of you today for the fried pickles! I couldn’t resist eating them as soon as these were done pan frying, so trust me when I say these make a yummy summer side, too. I definitely made enough for tasting, the brats, and a side dish. Dill pickles – I found it cheaper to slice myself, but you could buy pre-sliced. 1. Preheat oil to around 370 degrees; test by dropping a little of the breadcrumbs into the oil to see if they sizzle. 2. Combine all wet ingredients and stir until smooth. Let sit at least 5 minutes. 3. Cut your pickle slices. I prefer mine to be a little thicker, so they stay super crunchy. 4. Add your pickles to the wet mix and let them marinate for at least 10 minutes. 5. Combine dry mix together. 6. Working with a small manageable batch of pickles (no more than 10 at a time), gently toss them in the breadcrumbs. Let them sit in the dry mix for a minute or so because the crumbs will tend to stick better. 7. Fry your small batch for about 3-4 minutes or until brown and crispy. If you can manage your time, I like to put the pickles into the oil and switch the next batch over to the dry mix to sit. The pickles will need to sit for at least 2 minutes on one side, so it should give you time. After the pickles were done, I added a few to a bun with the American Craft Original sausage link and topped with a southwestern ranch. So yummy! While I loved this combination, I also loved having a leftover link a couple days later for lunch with some ketchup and mustard. These sausage links have amazing flavor! Hillshire American Craft sausages are hand crafted, starting with the best cuts of 100% pork and made with real ingredients like Jalapeño, garlic, and smoky bourbon. There are NO nitrates, NO nitrites, and NO MSG added to ensure that all you taste is exceptional sausage. My husband and I are especially excited to try the Jalapeño and cheddar sausage links next! My brother-in-law says they are really good, and we love anything with a kick. I am actually going to use a Hillshire coupon to pick them up for us sometimes this week at Meijer. Or I might also pick up the Craft Beer Brat or the Garlic and Onion … so many good choices!! You can head over to Meijer Perks and look under the “Lunch Meat, Bacon, Sausage & Hot Dogs” department of the website or app. 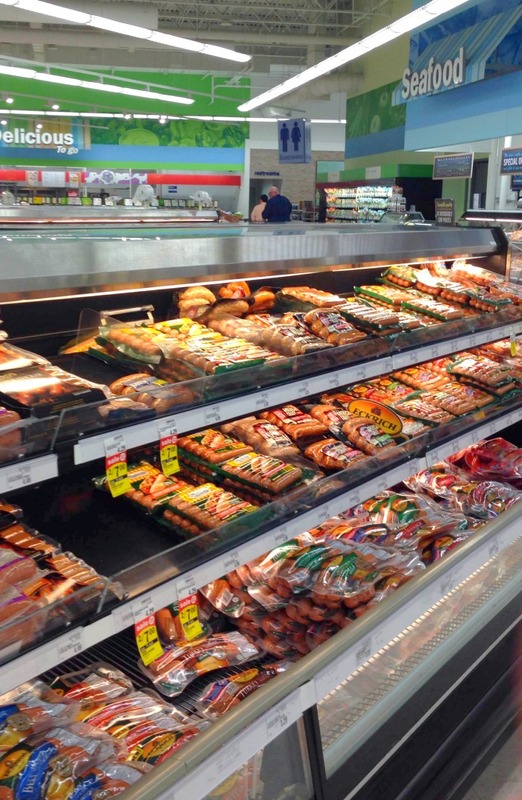 When you head to the store, you can find it in the refrigerated meats department; mine were specifically in a middle unit with other sausage brands. Which would you try first? Original, Garlic and Onion, Smokey Bourbon, Jalapeño and Cheddar, or Craft Beer Brat? This is such a great idea for a topping! 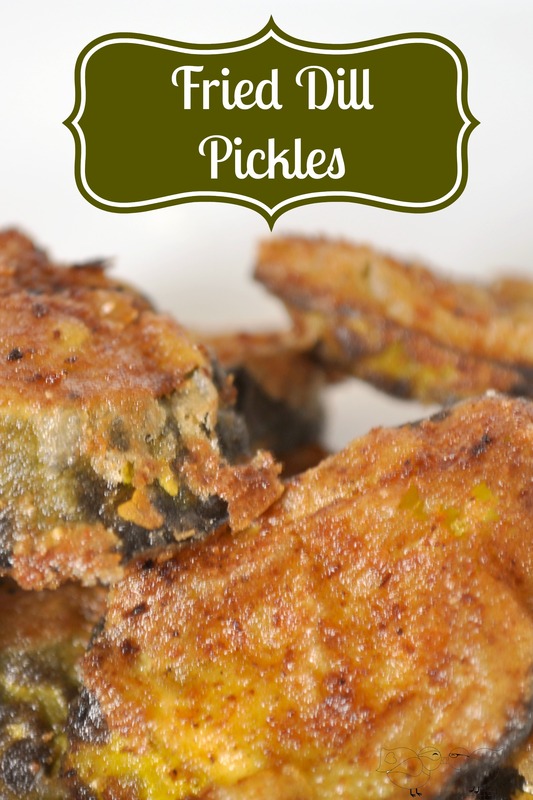 My husband loves fried pickles so I bet he would really love this idea!